As fall creeps into my consciousness (if not my actual surroundings!) 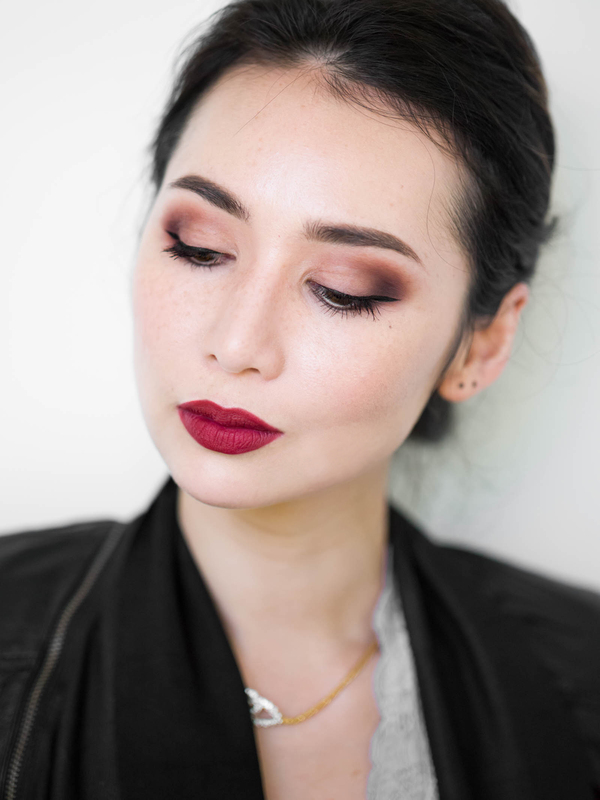 I’ve become more drawn to moodier palettes and berry-toned lips. It happens every year, even when I’m in Singapore and quite safe from the onslaught of flannel and Pumpkin Spice Everything. But back to those berry lips. 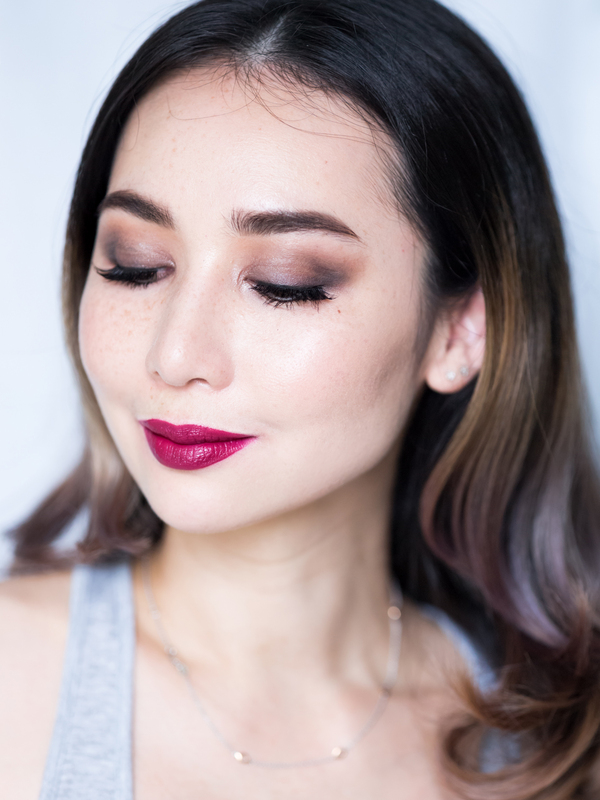 To be honest, I’ve never had much luck with them before this year – for the longest time, the best deep berry hues seemed to only come in fairly matte formulas which I guess is understandable since dark lipstick + a slippery texture could potentially equal a huge mess. 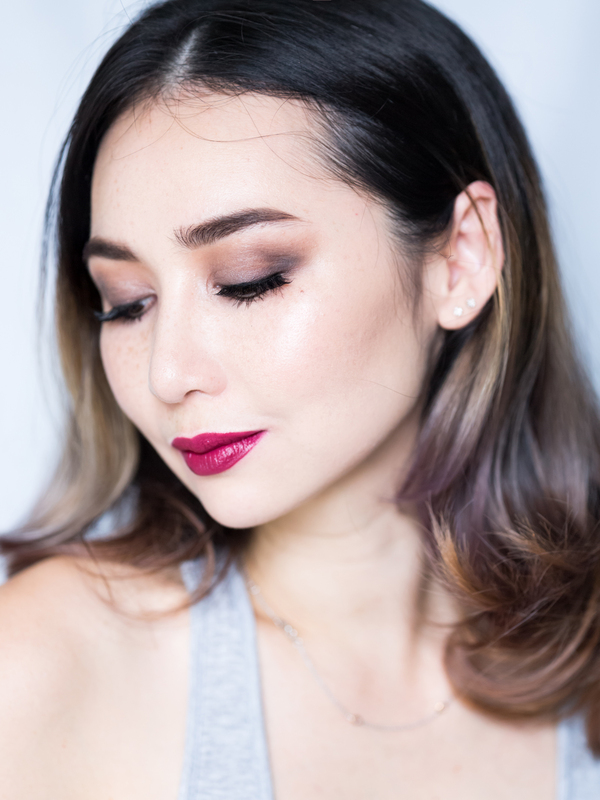 This fall however, there seem to be quite a few satin-finish liquid lipsticks on the market that pack a pigmented punch in a hydrating non-slippery formula. 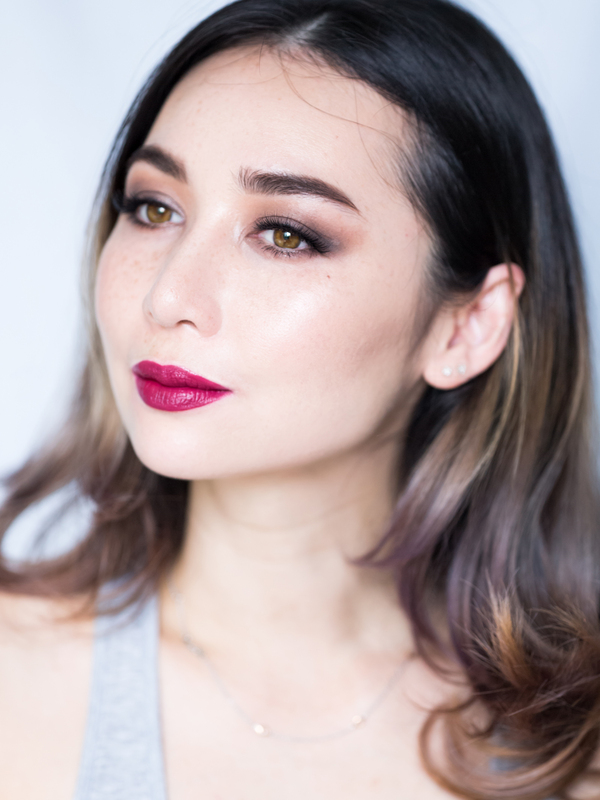 I’ve Ooohed and Ahhhed my way through offerings from Cle de Peau and NARS; this one is by Clinique…which is very surprising to me because it’s the last beauty brand I’d have expected to jump on the liquid lipstick trend. But they did, and are killing it! 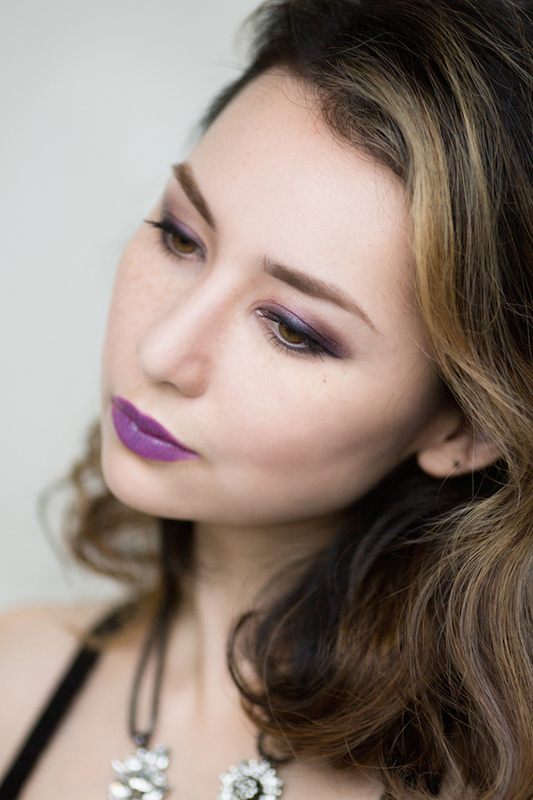 I’m wearing Boom Pop here, which has proven to be berry berry comfortable. Ahem. 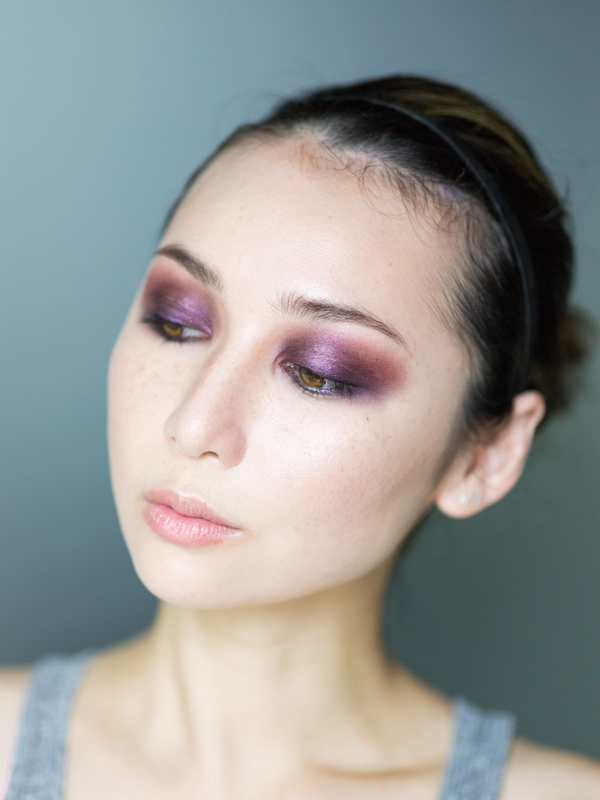 As for eyeshadow, smokey looks are slowly creeping back into my life too…though our eternal tropical summer does mean I’m still mostly sporting light/bright looks. 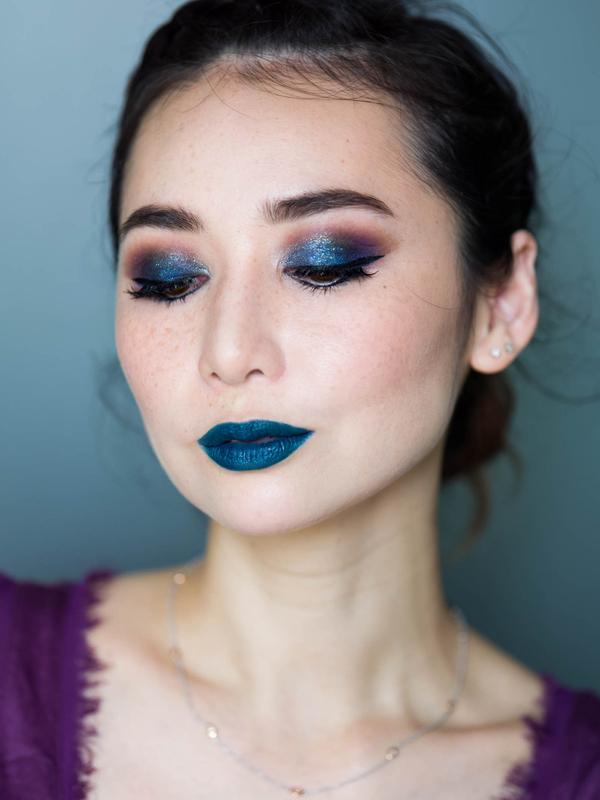 This slightly moodier eye is courtesy of SUQQU Blend Colour Eyeshadow in 04 Keshizumi, with some trusty matte blending shades/powder liner from Make Up For Ever’s Artist Palette Volume 4. I know I’ve said this before, but I’ve been using the latter almost daily ever since I got it. 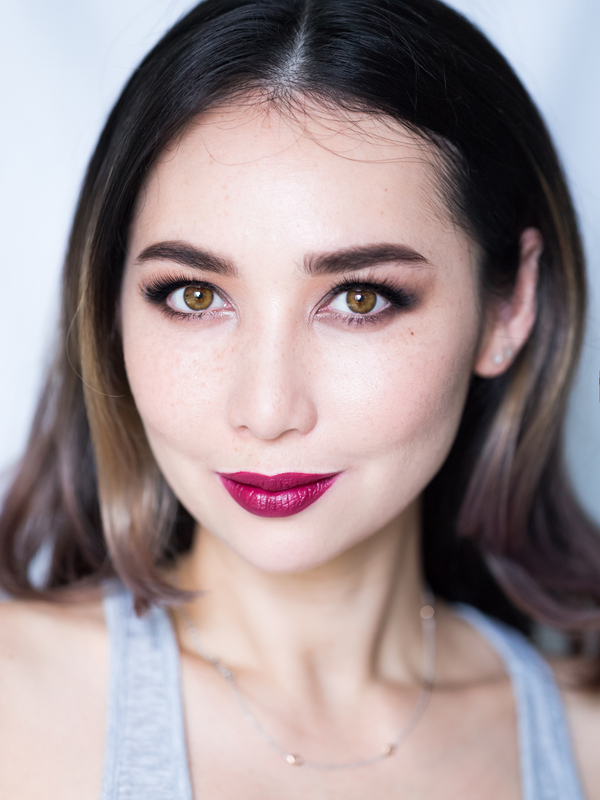 It’s been absolutely indispensable, especially on trips – I can use it as an eyeliner, blush, contour and brow powder as well – so expect to see a lot more of it when we hit up Tokyo and LA later this month! Some of the products in this post were provided as press samples, however all opinions and observations are my own and not influenced by the brand(s) or their PR team(s). This post contains affiliate links. OMGGGGG you look so stunning! I’ve been wanting to Keshizumi but was unsure if the cooler grey tones would suit me. I think I def need it now after seeing it on you! I’m pretty sure they’d suit you more than me actually!